Now the first thing I will say is that the Milk Cafe website is one of the coolest I have ever seen. Like seriously LOOK AT IT. The place itself is pretty cool looking too. 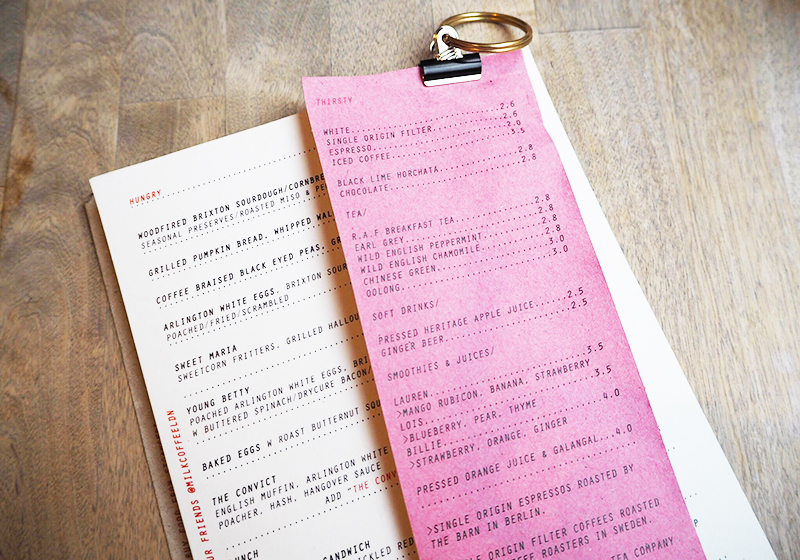 It even has these cute little menus you hang up by the door. 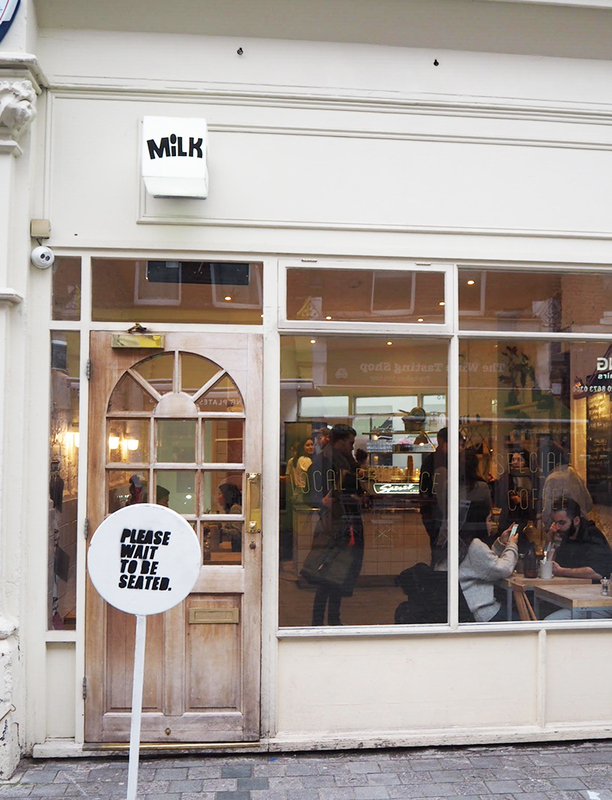 Basically Milk takes hipster to a whole new level. Now on to the drinks, which if you know me is a very important part. The boyfriend went for the RAF breakfast tea which was served in the cutest way. 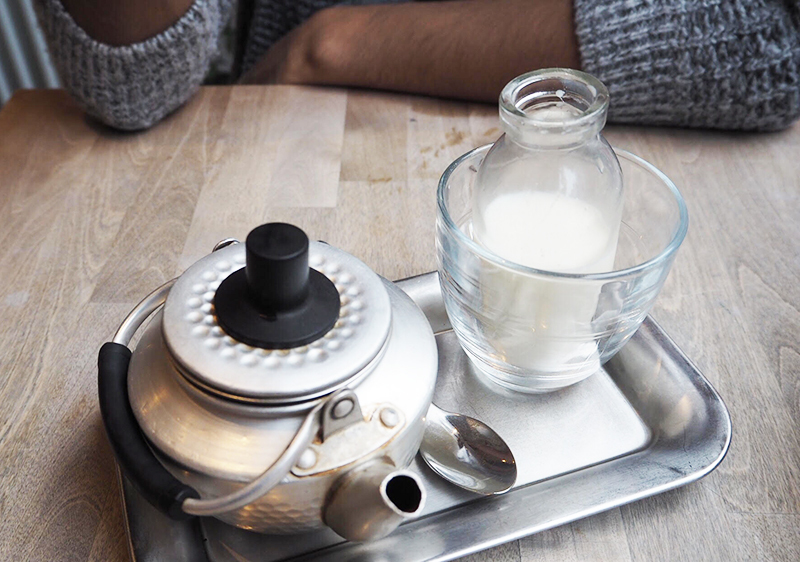 I mean look at that cute little milk bottle and tiny teapot. I of course went for a coffee, choosing an iced one despite the horrendously cold weather. I can confirm that it was pretty damn good. 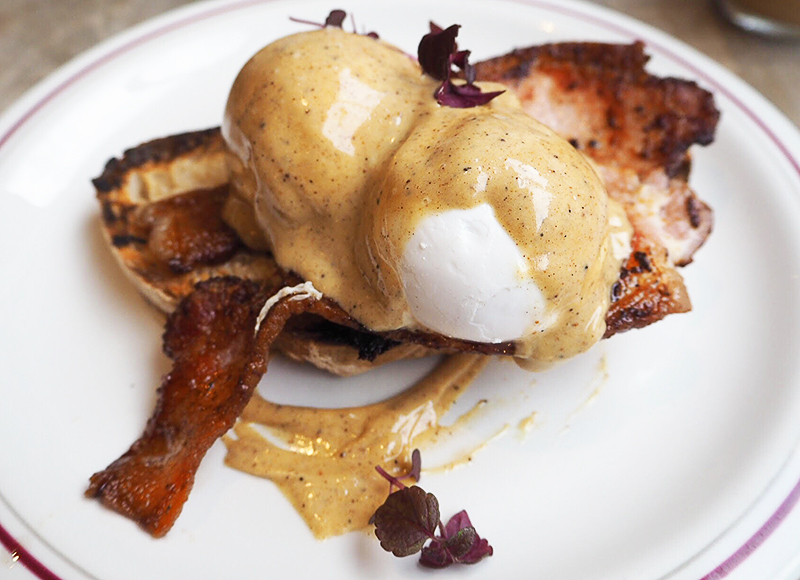 Because the pancakes were sold out (some amazing combination of buckwheat pancakes and meringue), both me and the boyfriend ended up going for the Young Betty - poached eggs on sourdough bread with a burnt hollandaise sauce and bacon. Even though I always go for the sweet option, I really loved the Young Betty. The eggs were perfection and I really loved the burnt hollandaise sauce as it was like nothing I've ever had before. 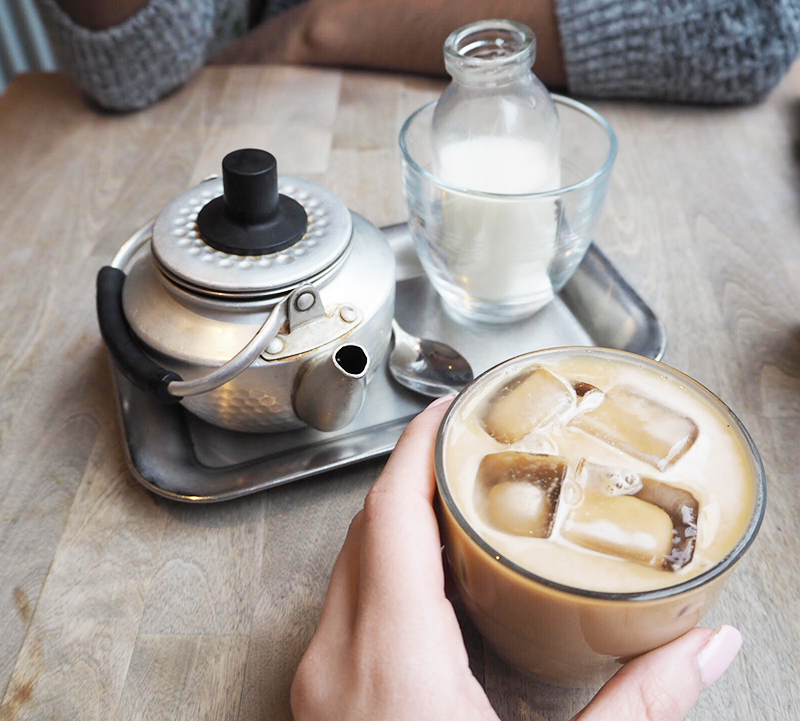 All in all, Milk cafe was a really nice surprise. The atmosphere was lovely, the service was quick and what we had of the food was great. If you want to visit yourself, you can find them at: 18-20 Bedford Hill, London, SW12 9RG. Looks pretty good. This egg dish reminds me of one I had at Breakfast club which was also amazing! The eggs look so. good!!!!! Seems like a really nice café indeed. I'm always a bit dubious about some of the more popular/blogger-friendly (you know what I mean haha) places because I always wonder whether the quality is as nice as the looks. 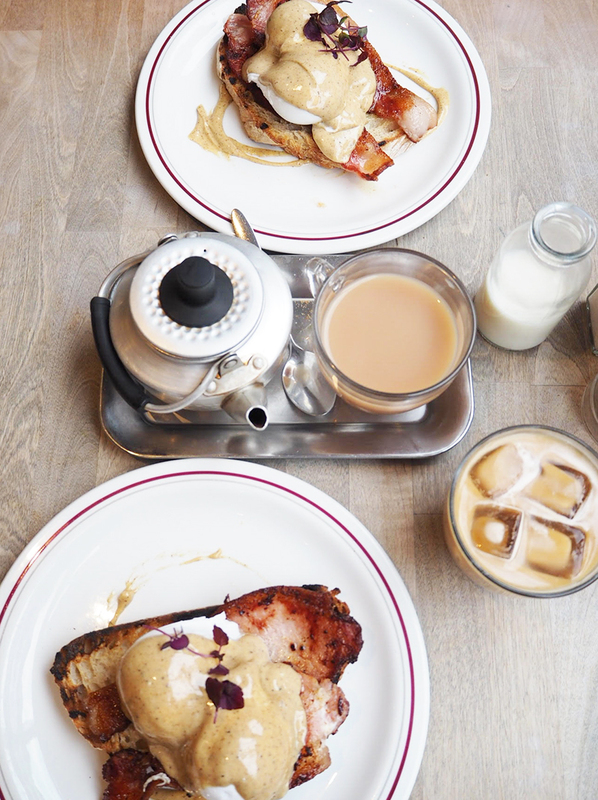 Thus I love reading reviews, and this seems like a nice place to go too - the photos are making me hungry for breakfast food haha! The food looks so great!